​Northern St. Johns is a great place to call home! ​St. Johns is among the top regions in the country to live or work, to find a home or start a business, to raise a family or retire. Our communities offer luxurious amenities, A-rated schools, close proximity to the beaches of St. Augustine & Jacksonville, shopping and cultural activities. Many communities offer on-site golf courses and gyms, with nearby ball fields, dance and martial arts studios, spas and preschools. Dining options include pizza, pubs and grills, Mexican, Japanese and Chinese restaurants and fast food. Nearby health services include dentists, primary care physicians, optometrists, chiropractors, orthodontists and clinics. In this guide we review some of the features of the areas most appealing communities with a focus on communities that have been in existence for more than one year and are nearly completed. Cimarrone is an older established community with lush landscape and a gated entry. The 10,000 square foot clubhouse that features a beautiful restaurant and lounge, plus banquet and golf outing facilities that can accommodate over 140 people. The Clubhouse is also home to our new Spa where you can simply relax and feel pampered. All open to the public. The 6,900 yard layout plays along a mildly rolling terrain with significant fairway and green side mounds and plentiful water hazards. Rated 4/5 stars by Golf Digest's Places to Play, the course was chosen as one of the Top 100 Golf Courses in Florida. Golf amenities include practice facilities that feature a targeted natural grass range, short game areas with sand bunker, and putting green. St. Johns Golf & Country Club is conveniently located minutes from I-95 but is tucked away amongst the trees for a very private feel. It boasts a gorgeous 18-hole golf course and large-sized pool, fitness center, tennis courts and restaurant. There are a mix of families with and without children and a variety of home sizes and styles. 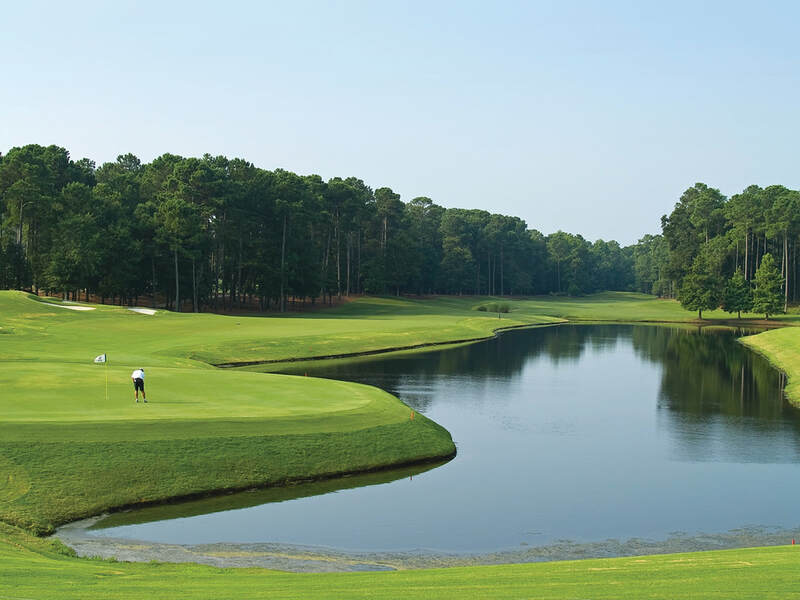 South Hampton is one of St. Johns county's premier golf course communities. A beautiful development that is attractive to multi-generational buyers. Homes range from approximately 1600 square feet to over 4500 square feet with resort style amenities that appeal to all ages. South Hampton is conveniently located on the 210 corridor with an abundance of restaurants and family services. The community has a newly renovated amenities center featuring a state of the art fitness center, an olympic size pool and a water park for the young at heart. On site is a RV and boat parking area for residents and 22 beautiful lakes throughout the community. This is a community that that has it all and no CDD fees. St Johns Forest is a gated residential community conveniently located near the corner of CR 210 and I-95. Built on 435 acres and holding more than 500 single family homes, this built-out community offers exquisite value for a neighborhood located in St Johns. Besides the beautiful gated entrance to the community, it boasts award winning amenities including a stunning 5200 square foot resident Clubhouse, Fitness Center, Swimming Pool, Tennis Courts, Basket Courts, a Roller Rink and Sports Fields. Ponte Vedra shores, St Augustine, the Town Center and Jacksonville are all within a 30-minute drive. When looking for a home to buy in St Johns county, this would be one of the first communities we would recommend for convenience, beauty, and affordability. Stonehurst is located in the heart of the CR210 corridor with easy access to I-95 and shopping, and is conveniently located about one minute from Publix. It is a family-oriented community with excellent amenities including a pool and play area that is walking distance from anywhere in the neighborhood. There are also a number of smaller parks large enough to play pick up football. On any given day there are kids of every age group outside playing which makes it one of the most friendly communities in Northern St. Johns. There are no CDD fees and the HOA is low. Located on a beautiful 350 acre site, Johns Creek features an abundance of conservation areas and 9 lakes.Winding streets and sidewalks enhance the feeling of community. With two amenity center facilities including indoor and outdoor recreational buildings, 3 pools, 3 children's playgrounds, a fitness center, tennis court facility, 2 basketball courts and 2 multipurpose fields, Johns Creek offers families quite a lot. It is also close to grocery and other shopping and dining. Situated along Trout Creek with direct access to the St. Johns River, the 1,500-acre Shearwater property seamlessly integrates preserved natural habitat with homes, pocket parks, and 13 miles of paved, natural and boardwalk trails. The epicenter of Shearwater life is the Kayak Club, an amenities center with a variety of recreational activities, event venues and gathering spaces, with a 6,800 sq. ft. multidimensional clubhouse as the centerpiece. The Kayak Club also includes a 7,200 sq. ft. Fitness Lodge, a lap and swimming pool, lazy river, slide tower, playground, sports fields, and four illuminated Har-Tru clay tennis courts. A full-time, on-site Lifestyle Director will create entertainment and activity programs shaped around residents’ desires. Visit www.shearwaterliving.com for more. This gated 1400-acre community captures every element of a successful development: it offers world class tennis, a beautiful fitness center, a first class golf course and country club, a neighborhood elementary school, a scenic natural setting, incredible landscape with bike paths, nature trails and boardwalks. It also offers a village center with tile roofs and a whole lot of class. The homes range from starter to condos and townhomes, to the very high-end multi-million dollar homes built by Arthur Rutenberg. Located on nearly 15,000 acres, Nocatee retains over 9,000 acres reserved for permanent preserves, community parks, dog parks and protected areas. Truly resort-style living, with a world class amenities center, including Nocatee Splashwater park. It also boasts both a K-8 (Valley Ridge) and a high school (Ponte Vedra HS) in the community. New home options in Nocatee range in price from $200,000 to over $1,000,000. Nocatee is 10+ minutes to the ocean and Ponte Vedra Beach restaurants, clubs and shopping while also having easy access to I-95 for those heading to Jacksonville or further South. The Nocatee Lifestyle is waiting for you! David Weekley Homes. Oxford Estates is a beautiful natural gas, gated community, close to highly rated schools, with walking trails, tot lot, and more amenities to come, all with no CDD fees. Beautiful estate sized homesites and luxurious home designs. Aberdeen is a newer master planned community nestled around a large wetland conservation area in Northwest St. Johns county adjacent to Julington Creek Plantation and West of Durbin Crossing. The community spans over 1,300 acres with more than 500 acres of wetland conservation and more than 65 acres of lakes. Aberdeen is now less than 5 minutes to the new 9B. It features resort style amenities including a a clubhouse, exercise fitness center, pools, water slide, tennis and basketball courts, child’s playground, sports fields, scenic walking trails, and a community picnic park. Few communities offer the authentic Florida experience like RiverTown. 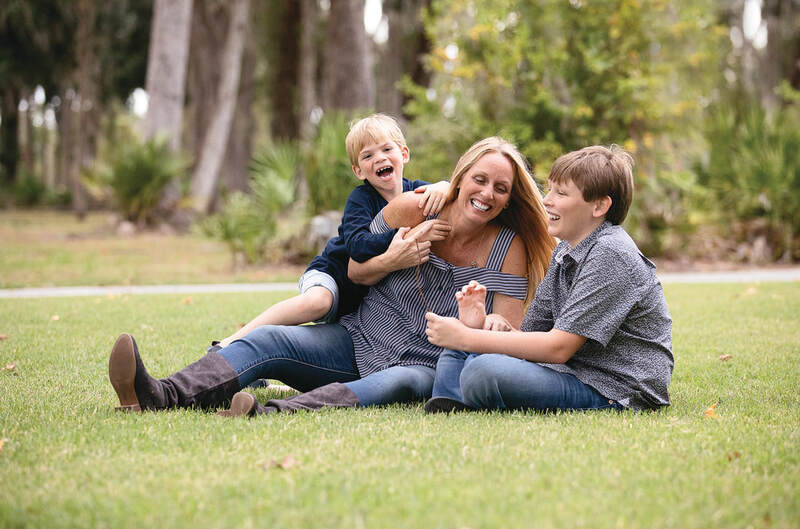 Rivertown’s access to the St. Johns River and surrounding conservation areas is unique to the area and provides the perfect setting to reconnect with family and each other. Rivertown fosters clean, healthy living with miles of hiking trails, running and cycling events and a world-class clubhouse amenity. River amenities, new communities and commercial and retail opportunities are planned. Durbin Crossing is a beautifully landscaped 2,000-acre master-planned community, located in Northwest St Johns County. When arriving at Durbin Crossing you have a feeling of serenity and peace while taking in all of the natural surroundings. This community boasts over 39 lakes, 1,000 acres of conservation area and acres of parks and preserves. It makes for the prefect community lifestyle. More than half of the 2,000 acres are left for the residents’ enjoyment of nature, biking, hiking, family activities and neighborhood games. With many of the home sites backing up to conservation areas or lakes, you get privacy. Durbin Crossing hosts two luxurious fully appointed amenity centers on almost 11 acres. Every family can enjoy these well placed amenity centers, one being in North Durbin and another in South Durbin. Cool off in one of the two pools with junior Olympic length swimming lanes and waterslide or head over to the north pool with the younger ones to splash in the children’s splash park. Each center has a clubhouse and play area. Residents can also get fit at the state-of-the-art fitness center, multiple lighted tennis courts, basketball courts, and volleyball court. Durbin also hosts an array of other activities including Food Truck Fridays, tennis clinics, Zumba classes, swim team, swim lessons, soccer leagues, yoga classes and multiple family parties including Memorial day events, Labor day events and Fourth of July festivities geared for fun for the entire family. Celestina is a gated new home community, featuring a $7,000,000 amenities center and over 600 homes upon completion. Celestina provides an extensive amenities center and a selection of new, innovative home designs.